As we all know, Manipal University is a prominent name in the world of academics today. 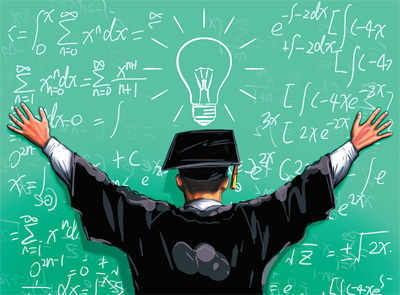 It is mostly linked with excellence which is evident from the quality of students it produces in almost every domain. An institution becomes famous when its students achieve something enormous in their careers and as an institution, Manipal University has been quite successful in becoming one of its kind. It is often said that success and expansions are interlinked. This is because, if we consider an organization, it only expands exponentially or disruptively when it is successful as well as productive with respect to its concerned operations. Manipal University has become one of the primary choices of universities these days where every parent wants to see their children getting admitted in such a reputed university where luxurious are in synergy with academic inspirations. With a number of campuses within India as well as prominent campuses in Dubai and Malaysia, it is evident that this academic institution follows every latest trend prevalent in the world of education. People tend to join Manipal University because it can provide a student his or her desired domain to study and excel. According to resources, the newest set of equipment or devices are available in this university which also leads to proper practical experiences to its students. Many institutions implement outdated equipments, compared to their students, the students of Manipal University gain a better and enhanced experience. This is a fact that human beings tend to believe in what they see and they are likely to follow the concept in which they believe. Alumni are the living examples of success and their success stories can influence almost every human being. In a nutshell, alumni enhance the brand development procedure in case of any organization. Alumni are such individuals who can influence aspiring students, potential faculties, recruiters and a lot more. It is not unknown that Manipal University has a lot of famous alumni who always participate in the brand advocacy of the University. It is true that the growing number of alumni and existing popular alumni create a strong impact on the upcoming set of people who wish to join Manipal University in several streams or domains. It should be mentioned that Manipal University has a long list of eminent alumni who showcase their gratitude for the university almost all the time. Apart from that, it is very important that the relations with the alumni are maintained properly in a streamlined manner. Manipal University ensures the execution of the aforesaid mission through reunions and proper experience showcasing. This showcasing of experience attracts a large number of students every year. Whenever we discuss the topic of famous alumni, we never fail to mention a certain set of people. Some of those people and their experiences are shared below. The name of Satya Nadella is world-famous and if we consider the famous alumni of Manipal University, he occupies a solidified position. Satya Nadella trusted Manipal University to pursue his bachelor’s degree in Electronics and Communication. In the batch of 1988, no one was aware of the fact and it was beyond everyone’s imagination that this person will become the CEO of Microsoft one day. Satya Nadella is an eminent personality who actually was responsible for the cloud computing network of Microsoft before he became the CEO of the same. It is evident that he received a good quality education in Manipal University which led him to greater heights of success and today he is at a position where everyone is proud of him. Rajeev Suri is another gem which was built by Manipal University. Currently, Rajeev Suri is the CEO of Nokia. Nokia has been the household name for mobile phones since its inception and through various modifications as well as innovations, it is evident that Nokia can be available to all sets of people. Rajeev Suri completed his bachelor’s degree in Electronics and Communication Engineering from Manipal University. Being a student of the early batch such as 1986, this man is the proof of Manipal University’s versatility throughout all these years. The type of exposure which he got from the University filled him with the confidence, making it possible for him to succeed in days to come and be a role model for other people in the world. Master-Chef India is one of the most watched shows on the Indian television. Whoever watches the show is definitely aware of the subtle and humble chef VikasKhanna. Vikasis an alumnus of Manipal University, he graduated in the domain of Hotel management in the year of 1994 and the type of environment he experienced in his graduation life led to the further development of his passion. Sheikh MuszapharShukor is the first Malaysian astronaut to create an impact. He is the first Malaysian astronaut tionas launched to the International Space Station aboard Soyuz TMA-11. This person completed his bachelor’s degree in medicine and surgery from Kasturba Medical College in Manipal University in the year 1994. Sheikh M Shukor has done his specialization in orthopedics. The range of success this alumnus has shown inspires millions to join the same institution. Dr. AnnapoornaKini completed her bachelor’s degree in medicine from Kasturba Medical College in Manipal. This lady doctor has an immense impact on the department of cardiology for which she was made a member of Royal College of Physicians in London. The success story of this eminent alumnus shows the charisma which the University has within itself. Dr. Sumit Gupta earned fame when his research work was felicitated across the world. In 2000, he completed his bachelor’s degree in medicine from Kasturba Medical College in Manipal. The story of this alumni proves that hard work can nurture the best out of an individual. This individual earned fame in a different domain. He completed his education in the 2008 batch of Manipal University and he is working as a Business and Economy reporter of India with the famous channel BBC. This alumnus indicates that success can be achieved in every domain. Mausami Singh completed her degree from Manipal Institute of Communication in the batch of 2004. She is currently working as a senior correspondent with IBN7. The report which was published by her in the context of corruption earned her an award. Dr. Lobo is an alumnus of the Manipal College of Pharmaceutical Sciences who is currently working as an associate professor in the same department. The range of knowledge gained by this person is being taught and shared with the students of the department. Mr. FaizaleKottikillon is the founder of KEF Holdings in UAE. This person pursued his bachelor’s degree from Manipal Institute of Technology in the 1987 batch. He is recognized for his enlightening work as an industrialist and philanthropist. Manipal University has a very long list of eminent alumni but one thing should not be neglected that these people became famous due to a combined effect of their hard work as well as the environment provided by the University. So the students need to work on their part to achieve success as it is well-known that Manipal University is the breeding ground of successors.